I don’t agree with the whole Good Friday thing. Forcing folk to work on what has traditionally been accepted as a major holiday, one of only 4 days in the calendar free of Racing. Is it fair they get paid their normal rate for giving up crucial times with their families. And for those of you who’ve seen fit to blow off to me such arguments as ‘lieu time’ or ‘religion isn’t such an issue any more’ – I doubt any of you were mandated to work. If you did, I expect it was by choice. Just because your moral standards run to the commercial and nothing else but, hardly argues it right. And that’s what the decision was. Commercial. Two of Racing’s major stakeholders railroaded the decision via a typically pliant BHA. The same organisation could hardly refuse such a call, having placed itself firmly in support of FOBTs. 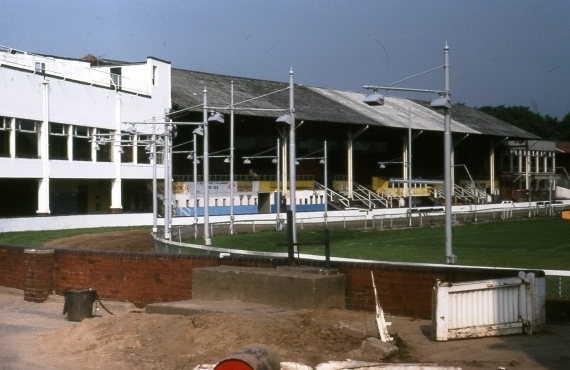 Nor was it ever likely to refuse Arena Racing and its promises, despite 8 of that organisation’s tracks resting at the foot of the table for prize money in the sport. Often paying as low as £1940, from media rights and Levy, that typically pay more than £7000 per race. We were promised guarantees by Paul Bittar before the decision was made, on prize monies, and on future funding for Good Friday. 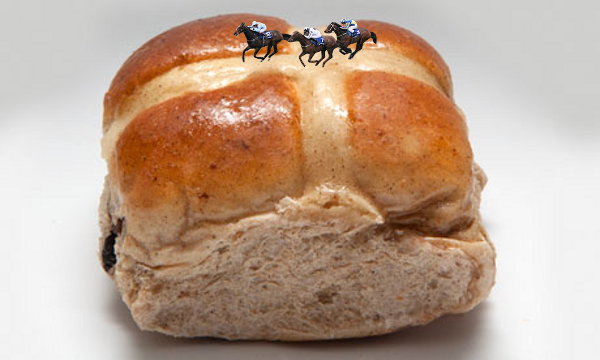 Have the BHA delivered on that undertaking? I think everyone’s forgotten that promise. Arena did promise to put on a million pound event. And that’s exactly what they delivered upon. The Bookies were supposed to foot the lions share of the bill. 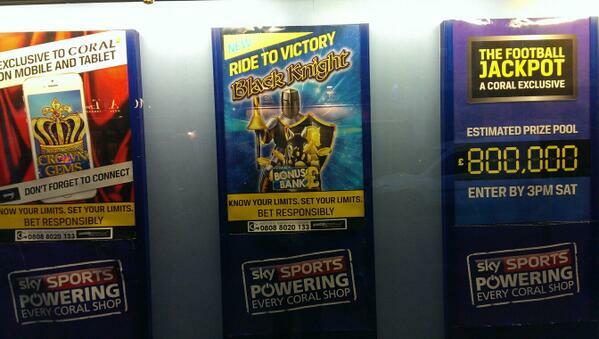 It didn’t happen, with William Hill, Betfred and Bet365, declining sponsorship. Arena therefore took up the prize fund slack. From where did they derivate such a pot? From what they didn’t pay elsewhere perhaps? Check out this table from last year – and the 8 tracks at the bottom. 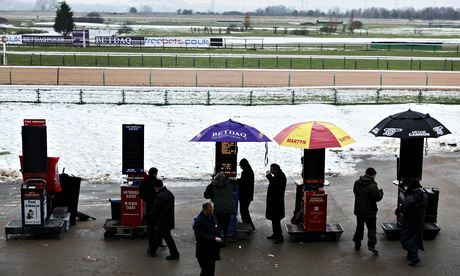 I tire of proliferation of all weather racing which for the most part draws crowds so low – typically a few hundred paying customers, and plays to empty betting shops. Precisely what the shop staff are saying, in contradiction to the PR spin. As you and I know, they’re referring to the racing. Machines run themselves, plug and play. Race planning for five year olds, which has Southwell for example, appearing on a gorgeous spring day in opposition to 4 turf meetings, including majors Newmarket and Cheltenham. Who dreams up such fixture clashes and keeps their job? The holy grail of media rights has our tracks falling over themselves to produce rubbish. Neither penalises nor incentivises them for producing proper fields or competitive fare. In short – they’ve become lazy.Racetracks derive income between 30% of a large track to 70% in the smaller venues from Betting. Speaking as a Bookmaker, I’m not comfortable with handing over my fees if tracks continue in so many fixtures to fail to deliver on quality. That’s not accountability. We shouldn’t be handing over our money to racetracks to put on 4 runner races, No Sir – No Way. In the meantime we’re boring the living daylights out of our fans. Have we forgotten we’re a sport? That we’re supposed to entertain and not drive custom to Football? Is anyone out there listening to the punters? It appears not. Of course to have an initiative for a series of races leading up to a championship day should be applauded. Would I consider the day a success? Yes, I would, but then I always knew I’d do well and people would come. And I think if well intentioned by Arena, it’s a very positive step towards a better class of programme. Too much of which is poor beyond belief, and riddled with highly questionable behaviour. A subject I’ve covered. Let’s not put our customers off by tacit acceptance of breaking of the rules of the sport. What would like to see? An insistence on clear undertakings from ARC on prize money for the race series, and a guaranteed underpin for the finale, even if it wasn’t a million.An agreement to fund the rest of their programme more equably than at present. The group are found at the bottom end of returns. I would have a cap on the number of meetings ongoing for Good Friday at two. What came out of Friday most evidently, was that the lesser funded fixture drew a significantly ordinary crowd, despite the holiday period involved. We don’t need a bank holiday style Friday with 9 meetings. Between Cheltenham’s outstanding festival and Aintree, Racing typically consisted of 75% all weather fare, and low field rubbish to boot. Fans don’t want this, the press won’t publish our cards, and we do not need to spend fortunes with Deloitte to establish the obvious. 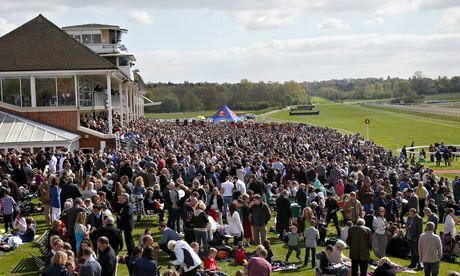 Newcastle, Catterick and Great Leighs want to turn to the lucrative surface, and that should be rigourously opposed. We hear Betfred keen to race Great Leighs once fixtures are assigned, on Christmas Eve. If the same arguments hold sway with the BHA as per Good Friday, are we now to see Christmas to be sacrificed to the altar of media rights? Has Good Friday become ordinary Friday? Is this yet another weekend of Racing, Friday through Monday? Why in fact with most of the country on a four day break, do we need the fourth to provide yet anther day’s racing. Has it really grabbed the wider attention of the general racing public? I seriously doubt that. A major positive from ATR, whose coverage was both lively and enthusiastic. Clearly it was a big day not both for the network, but its stakeholders Arena also. I felt sorry for Chapman trying to interview a sour faced Ryan Moore after Grandeur’s victory. Evidently Popeye dared to criticise Moore for a ride in the past, a huge no-no for reporters. The same attitude evidenced in a similar interview at the Breeders Cup. Get over yourself Ryan, you’ve become an insufferable bore, talent notwithstanding. Your business is to entertain, or have you learnt nothing from Dettori? In bookmaking terms? More interest and turnover. It was profitable, despite three bankers obliging. Broadly the more competitive it is, the wider spread of bets I take. It wasn’t a burster, more like a quiet Saturday in volume terms. Money for the Levy? Yes. But would we have taken the same money had the meeting taken place on the Saturday, or even the Sunday? Yes. But the machine take would have suffered. For Arena – a breakthrough event with a major bank holiday now opened up. Clever boys. I’ve never said racetracks weren’t smart. They do, however lack a cohesive plan to deliver on a sport of the highest quality possible, it’s all too disparate. I want – I get. Yes there were 9000 there, and that’s a success, even if driven by two for one deals – entrance to the Premiere at £11. Somewhat less than Musselborough’s £20. Racing was competitive, prize money was excellent, exactly what we’ve been asking for. Surely though we cannot strip the programme elsewhere to produce such events, to base a whole industry on festivals and Saturdays. The all weather typically delivers but a few hundred paying customers for most of its fixtures. There simply isn’t the appetite for the product, and I struggle to understand why it requires more fixtures. 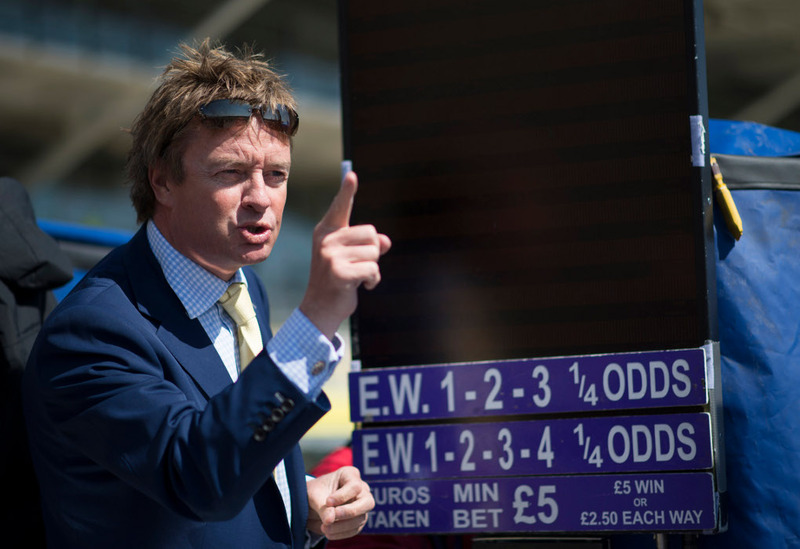 Of course we cannot have super competitive racing every day, but we certainly can deliver on a better product and field sizes if we do not spend our time bending the knee to Coral Racing – and their calls for racing every ten minutes from midday to 9.30pm, to feed their little empire. And we do not need the all weather in opposition to major meetings. Truly pointless – and never the intention at the outset of sand. Without the million pound event, it becomes just another Sunday. For how long will Arena support what the Bookies won’t put in? Is this a sea change in our thinking- a commitment to quality over quantity. Because if that’s the case- sign me up, although I struggle to see the need to race on Good Friday, Easter Sunday, and so forth. For the healthy future of the sport, we have to commit to quality and lose some tracks, horses, Bookies and reduce the programme. Not substantially, but at least to redress the current drive away from quality. I’m not asking for a draconian cut. 150 fixtures – 2 meetings a week. We can deliver that, and harvest a better return. I do not accept we have to fund bad horses in poor field events, to keep a small band of owners standing in an empty paddock holding a fruit bowl and a betting ticket. I’m part of a syndicate – and I enjoy my ownbership. I do not have to invest hundreds of thousands to enjoy the sport. My syndicate uses top trainers, Hannon, Haggis, Charlton, Hobbs and the like. The horses run at Newmarket, Ascot and York. The argument small time owners cannot enjoy the sport if Wolverhampton fell into a giant hole in the ground has no merit. Let the ground subside. We do not all have to live our lives from the gospel as according to Coral Racing. Nor do we have to hope their machines do well. If a few shops and a few tracks close down, that’s simply natural selection, and we don’t need to wail at their loss. Corals influence over this great game has become unhealthy and not in the best interests of Racing. To my mind, their influence is driving the sport very much to the dogs.